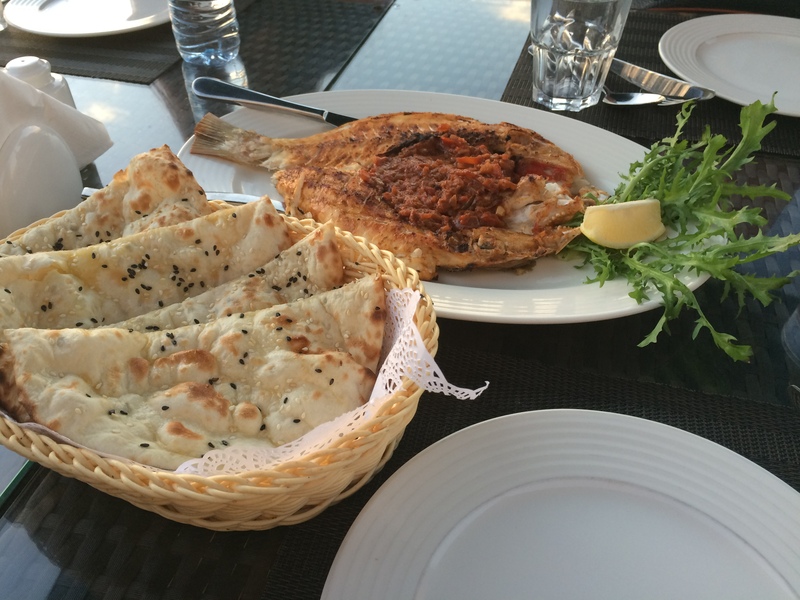 With so many great options in the city, the question what to eat in Dubai can be a hard one to answer. Dubai has been my on and off home for around ten years since 1996 till today, and in that time it has seen tremendous growth across all sectors including infrastructure, art, athletics, tourism, business, and even in cuisine development. When asking an Emirati friend what local cuisine really consisted off, he replied to me saying that despite having dishes unique to the country like Machbous, rgag, and chebab, Dubai has embraced different groups of people from around the world who bring to the table their own unique culture, most easily tangible in the form of food. Being a glamorous and glitzy city, tourists from around the world flock here to eat at high end, Michelin starred restaurants at five star hotels, however, as a long time resident, I have been able to scour the city and have discovered that the most delicious food is actually extraordinarily affordable and that most of these restaurants have cool stories behind them. Without further ado, here is a list of pocket-friendly eateries that you should not leave Dubai without trying. It will introduce you to some unique new flavors, people and understandings about how much of a cultural melting pot this city really is. “Sip, dip and roll” is the motto of this hidden gem found in one of the Barsha alleyways. 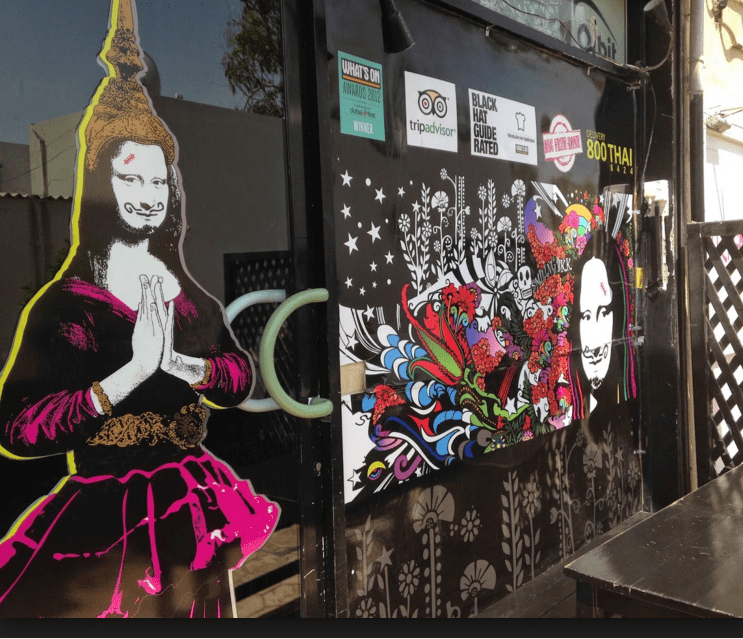 This little eatery serves up a fusion of Nepalese momo (stuffed steamed dumplings) and sushi – hence the name. What makes Moshi extra special is the extraordinary culinary innovation and coalescence of global culture and flavor – Japanese and Nepalese delicacies with local Arab flavours, Indian spice and aromatic Thai under one roof! All the orders are made in an open kitchen so one can see exactly what the chefs are up to. 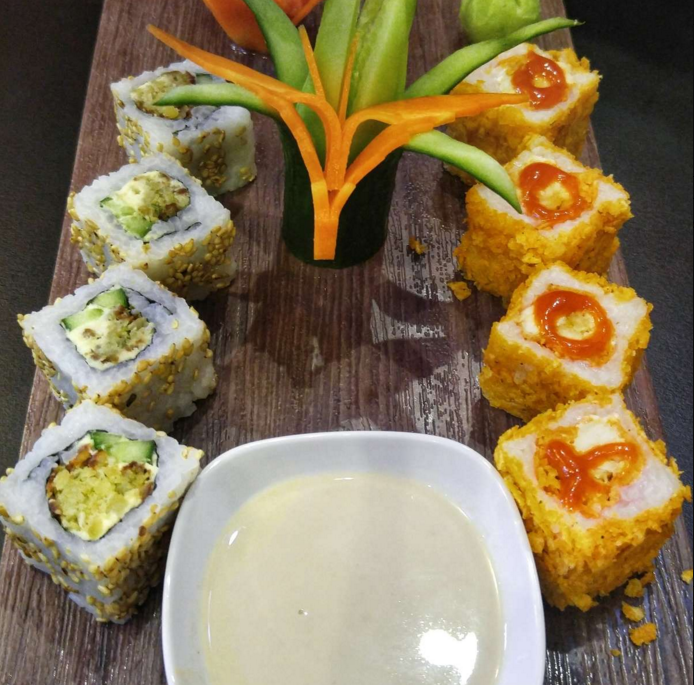 The ingredients are super fresh – we tried the mutton momos, unagi maki rolls, Chips Oman maki roll, and the lettuce Air roll (fewer calories!) with falafel, tahini, and cucumber. Everything worked together beautifully and the unagi rolls were so good, we ordered a second one. You cannot miss Moshi while in Dubai – affordable and beautiful momos, sushis and other Nepalese, Japanese, and Arabic fusion delicacies! Located in the Matloob Building off of the busy Sheikh Zayed Highway, Hadoota is easily the best Egyptian restaurant I have been to in Dubai that does not destroy your wallet. 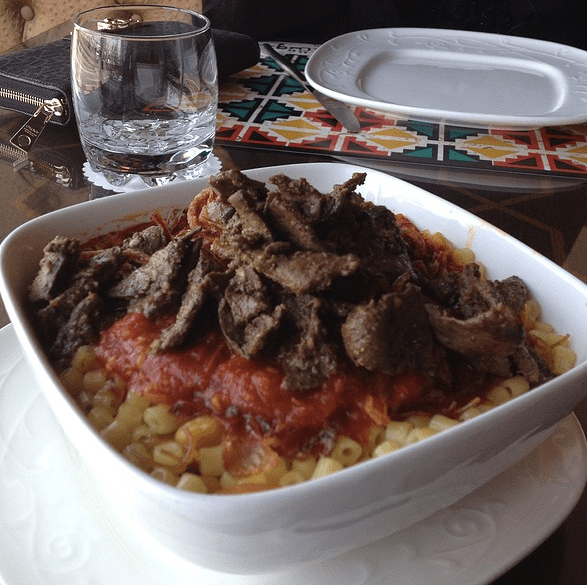 The Koshari, a rice based dish that is the pride and joy of Egypt, was absolutely delicious with its rich and fragrant tomato sauce, crispy onions, lentils and chickpeas, and the Alexandrian liver was a great touch as well. The Mahshi came in three varieties – capsicum, zucchini, vine leaves – stuffed with Egyptian rice was also divine. We decided to go on a whim and try a grilled pigeon which was very tender and crispy. Momos are on here for a second time for a reason. 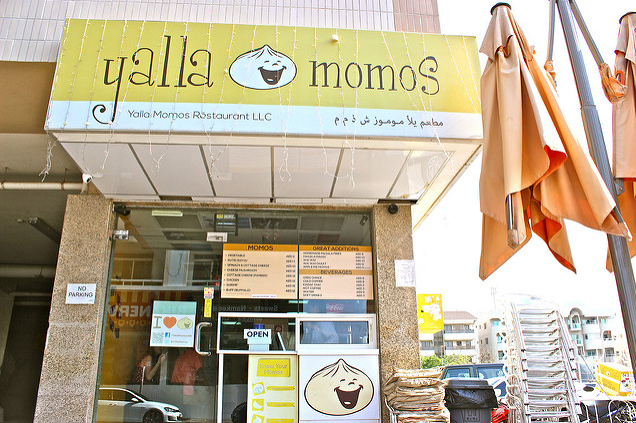 Yalla Momos only has enough space to seat about six-ten people and these little parcels of joy are well worth the wait and good for take out. 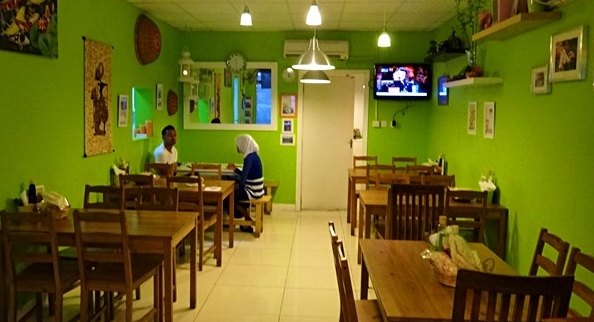 This little joint is located in Karama – a busy, lower income hub in old Dubai. Although considered to be more of the “hood” of Dubai, Karama houses the most simple yet delicious food in the city by far. 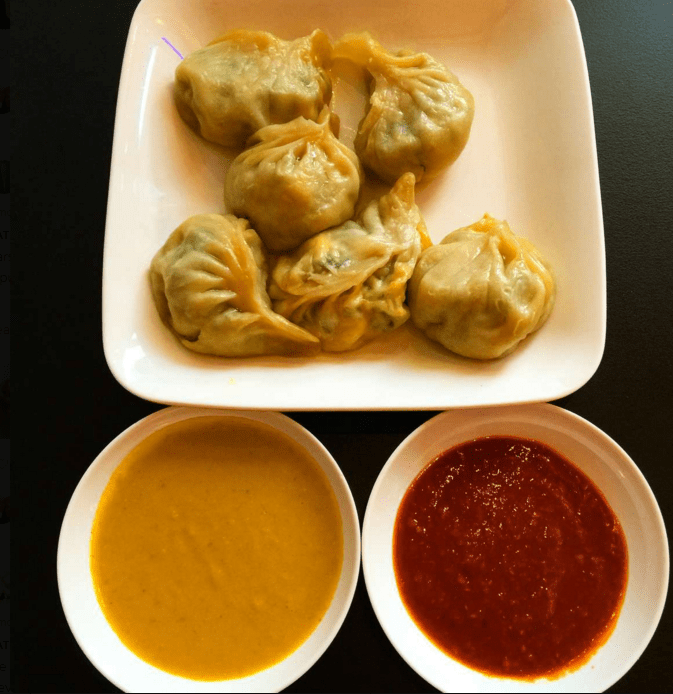 Turn your attention to page one of the basic menu for the list of momos, half of which are vegetarian with fillings such as cottage cheese and spinach. You’ll find chicken, mutton and shrimp versions, too. 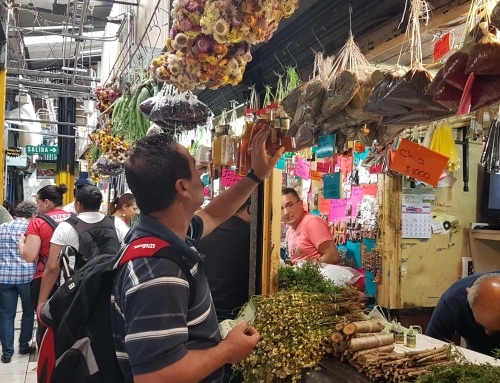 But whatever you choose, it won’t break the bank: an order of six costs between Dhs12 ($3.27) (vegetable) and Dhs16 ($4.36) (shrimp). 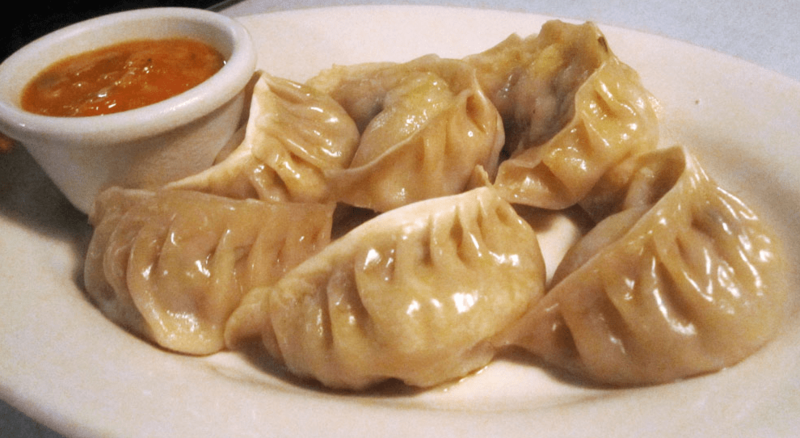 And you’ll be wanting to order more of these lightly spiced and flavorful dumplings. I heartily recommend the spinach and cottage cheese momos! Spinach and Cottage Cheese momos with dipping sauce. Two doors down from Yalla Momos on the same street in Karama is Betawi Cafe. 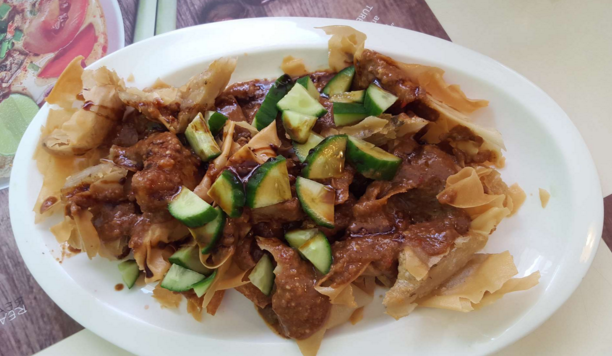 If the momos don’t fill you up, head here for some good old comfort Indonesian food. 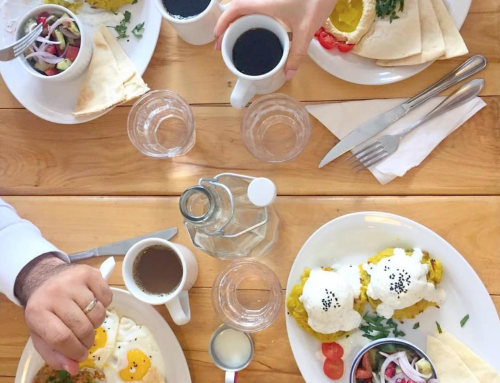 This cafe is unique and authentic, and serves wholesome food that burst with delicious flavors and spices. This relaxed restaurant is in a bright, clean, and open space – perfect for a little getaway from the busy city. You will not fail with orders like Nasi Padang (rice eaten with myriad beef, seafood, poultry, and vegetable accompaniments), and Mie Goreng ( served with eggs, sometimes chicken, beef or seafood, with assorted vegetables such as thinly sliced carrots and bok choi). Reem is an institution in Dubai. Everyone has heard of it and its popularity has led to three openings in Dubai including at Dubai Marina and Sheikh Zayed Road, but their oldest and most popular venue remains on Jumeirah Beach Road. It covers a vast sprawling space with indoor and outdoor seating and is known for its cheap and flavorful shisha options that range from cucumber mint to bubblegum to classics like apple and grape. Their Levantine food does not disappoint either with big platters of Arabic mezze that include classic dips like baba ghanoush (chunky eggplant base), hummus (chickpea base with tahini), mutabel (fine eggplant puree with tahini and diced vegatables), garlic dips, big fluffy Pita bread, pickled onions and tabbouleh (parsley salad) and fatoush (fried bread salad with mixed greens). 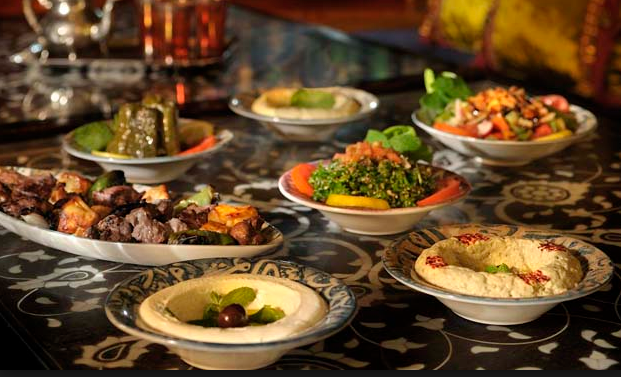 Their grilled dishes like shish tawook, shish kababs, and lamb chops are also delicious. 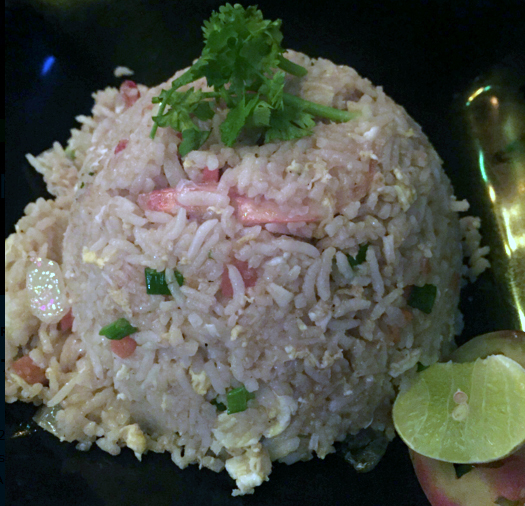 Enjoy the ambiance here with a big group or family – the waiters are good fun and you are guaranteed a raucous evening of laughs at this comfortable, relaxed restaurant. Seaview is the epitome of a seafood restaurant that offers ambiance and the freshest catches of the day for very affordable prices. 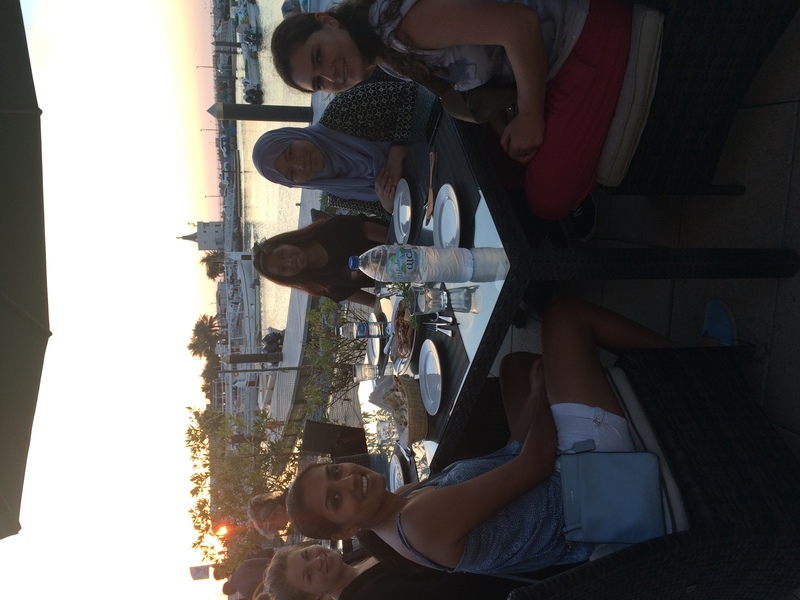 Located by the fisherman’s accommodation off of Jumeirah Beach Road, you can catch an awesome sunset with a view of the Jumeirah harbor of which old dhows, modern speedboats and yachts lie anchored. The restaurants offers an extensive variety of fresh seafood from local Hamour, Sheri, King Fish, Mullet, Mackerel, Shrimp and Crabs. We ordered fish masala papads, seafood roti canai, grilled Sheri with lemon and olive oil, and grilled shrimps Arabic style and with lemon butter. Everything was fresh, delicious and affordable. The seafood stuffed roti in particular was delicious. We left our meal feeling satisfied but not overly stuffed – it was a nice, simple, light meal with wonderful panoramic views. 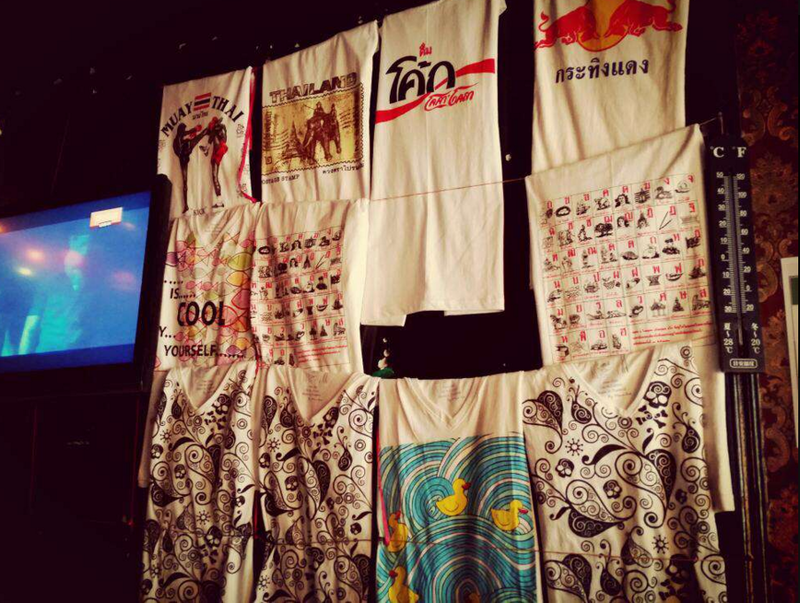 Known for its kooky framed pictures, cardboard cutouts of celebrities like Audrey and Marilyn, and Thai tourist t-shirts lining the walls, this shabby eatery on Al Wasl Road is not where you bring mom and dad unless they are down for a college type hang out joint with some pretty incredible Thai food. 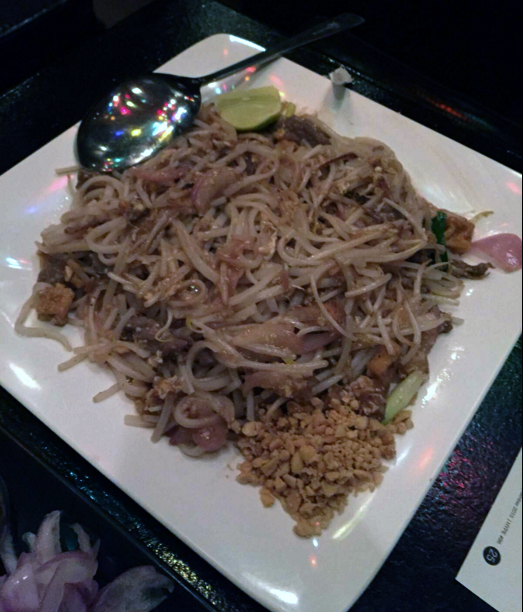 The Tom Yum soup, vegetable fried rice, Pad Thai (flat rice noodles), and green curry were stellar and the portion sizes were just right. Our favorite dish was probably the “Another One Bites The Dust” – a ginger steamed sea bass in oyster sauce. Oh yes, every dish has its own unique name on the sprawling menu from “Hakuna Matata” to “Great Balls of Fire”. The decor was a bit ridiculous and jarring but good fun too! 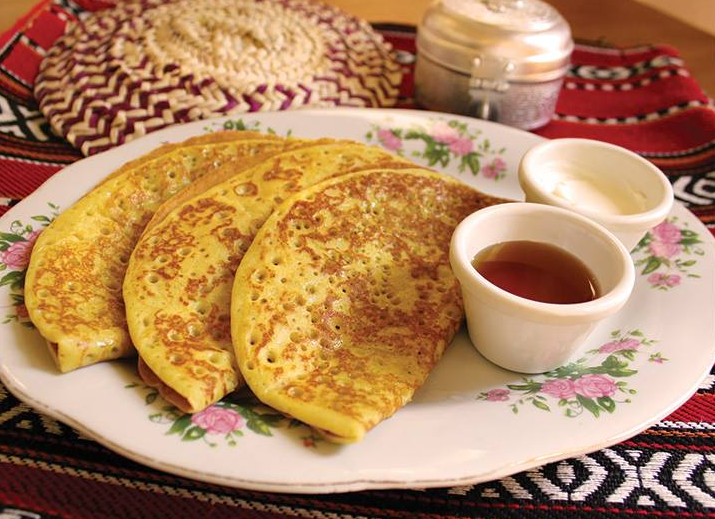 For an authentic introduction to local Emirati cuisine, head to this quaint little Arabesque bakery in Al Barsha Mall. 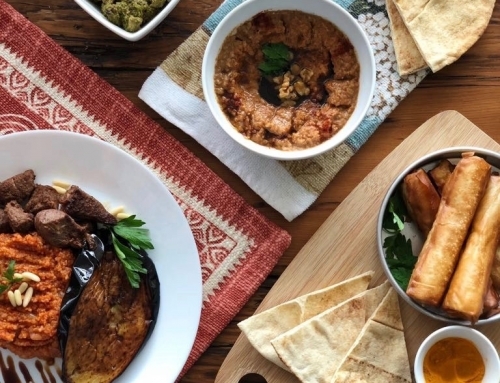 One can choose from six different types of freshly baked breads like pillowy sesame khameer and crispy muhalla, and nine different dips from za’atar, to labneh, or hummus. We chose to eat some pillowy chebab with cream cheese and date syrup and ryood yerena, which is baked eggs in a tin pot, on a bed of sticky, sweet dates. We washed it all down with spiced karak tea, cardamom qawah (coffee) and sweet haleeb bil zafaran (saffron-infused milk). 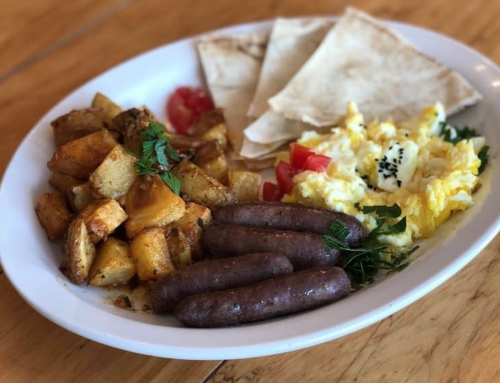 Choose from between six types of freshly made breads, like pillowy chebab and crispy muhalla, in addition to nine different dips ranging from za’atar to labneh to honey, and washed down with spiced karak tea, bold cardamom qawah (coffee), or sweet haleeb bil zafaran (saffron-infused milk). The inside of Klayya is so cute and cosy! This restaurant has a truly special history. 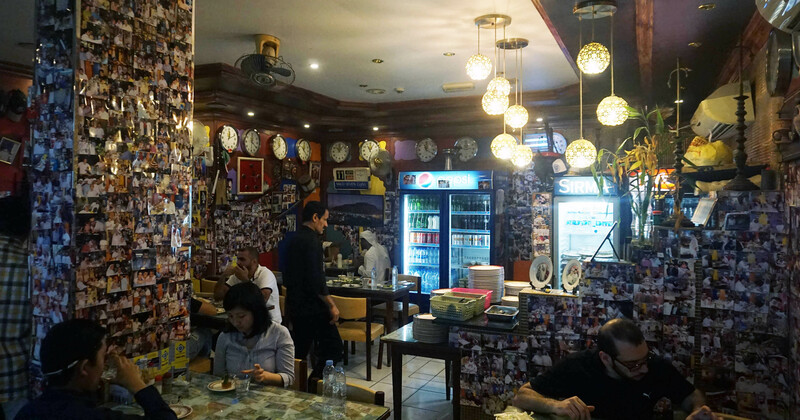 It is one of the oldest and most established hole-in-the-wall eateries in Dubai since 1978. Its founder Mohammed al Ansari first traveled to Dubai on a dhow with his uncle in 1941 from Iran while World War II was raging in Europe. Mohammed used to sit by the front of his restaurant on the crowded Al Musallah road greeting customers with a smile and a “Salam Alaikum”. When he passed away, devoted followers and long time customers took to social media to pay their condolences. The restaurant celebrates its 37th anniversary this year. 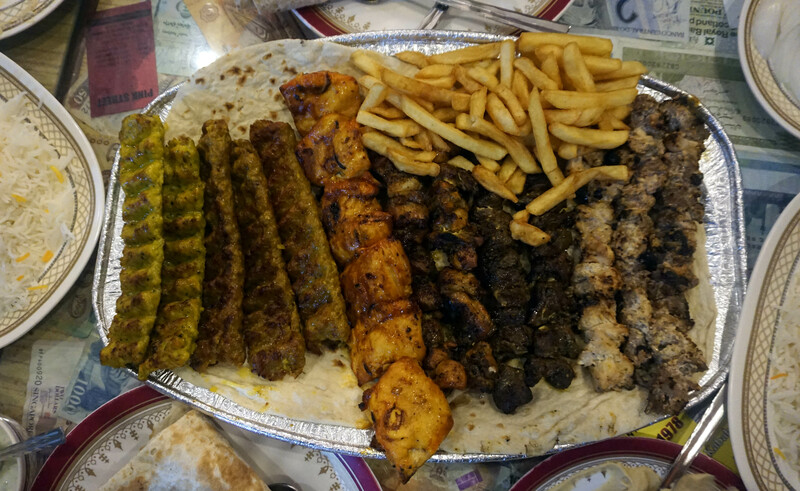 Its menu consists mostly of south Iranian dishes of chicken and meat dishes, and kabab. What makes it special is its coziness and atmosphere. It’s almost like going to visit the family for a meal at home, not a restaurant. An order of chicken and lamb kebabs with saffron infused Persian rice. 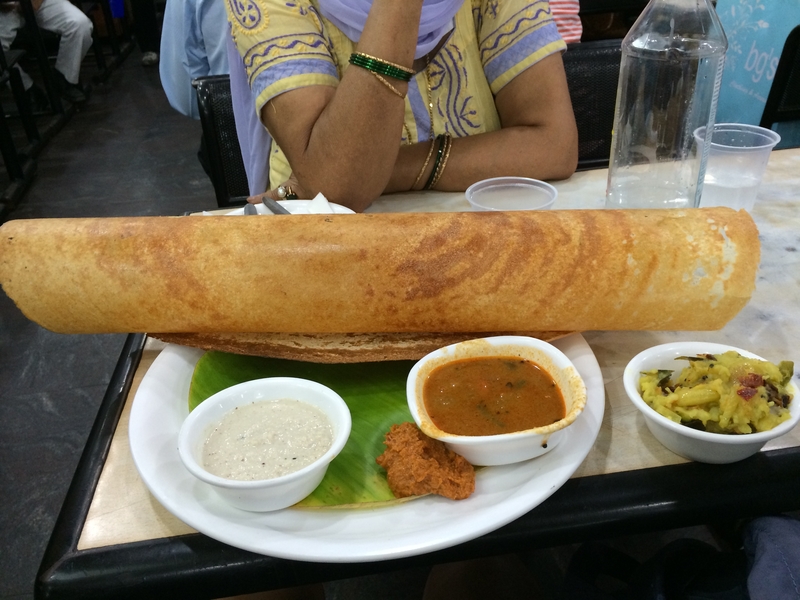 I have very dear memories of this vegetarian South Indian restaurant which go all the way back to my childhood days of living in Bur Dubai, the older part of the city. 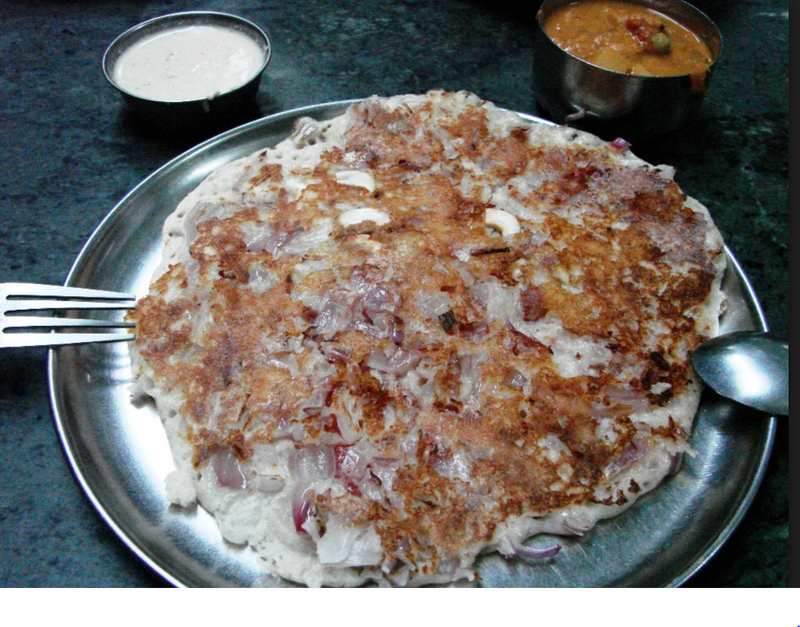 We used to make weekly visits to this restaurant and would order huge portions of paper masala dosas, utthapams and idlis – classic South Indian rice based specialties. The restaurants never let us down in terms of quality and while one waited for the food, their serving mats provided entertainment with sudoku puzzles, coloring pages, and word crosses. This restaurant recently was awarded the honor of the “Legendary” category by restaurant finder website Zomato and has expanded its menu to Indian subcontinent and Chinese cuisine although the South Indian specialties are the right way to go. 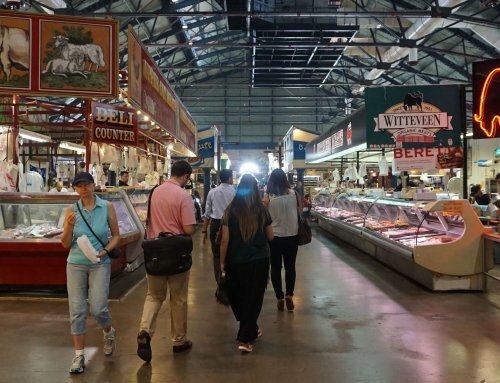 Toronto PATH food tour this winter! If you are somebody visiting Dubai this season walking tour of dubai will give you the round trip of history of Dubai, food and its culture. Porto wine tour is being discussed on Tripadvisor and other places. If you are fan of ethopian food, this Addis Ababa food tour is a gem! This is an amazing round up of Dubai’s affordable yet classy restuarents. Thank you Tastecapade for bringing up this post! I’d surely try some of these eateries. You forgot Sultan Dubai Falafel. Best falafel (and among the best ful, shawarma, and liver) in Dubai at amazing prices. I enjoyed the pictures in this blog. They resonate well with the taste and ambience of this context. Great read and thanks for putting up a truthful roundup. 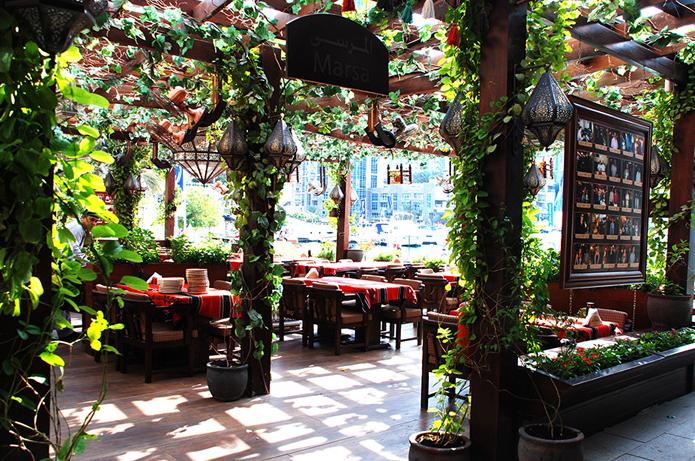 I would also add Abd El Wahab Restaurant for one of the best Shisha Spot in Dubai. Shisha is gaining popularity among the youth and the tourists.